Made my first pita bread today. Realised how versatile this bread can be. Recipe: Make regular chappati dough but remember to add some baking powder as this will puff the bread up and make a pocket. Roll it into thickish rounds and cook on a hot skillet. The bread with puff up after a while. Toasting it over naked flame will puff it up even bigger. Remove from fire, cool and cut into two semi circles. Slit them open and you have two pockets which can be filled with almost anything. through the bread. Now fill the pocket with salad poriyals /cheese / hummus/ chicken or almost anything you can imagine. Add ketchup on top, fold a tissue paper around the bread and serve. Pita can be made in advance and refrigerated. 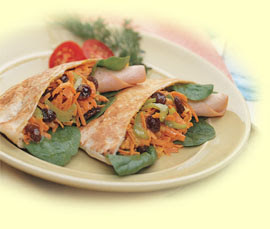 While serving, pitas can be toasted in an oven / skillet / microwave. Last week was parotta week, when I satisfactorily mastered the flaky parota making skill. This week would be Pita Week. One of these days this would appear in the Rotiwala menu.